Here is our latest project for Custom Vehicle Operations at Harley-Davidson. It all started with their Willie G. skull and ended with one of the baddest drives we have ever made! Sorry guys this one isn’t available for sale! They are only available with the purchase of a CVO bike direct with Harley. 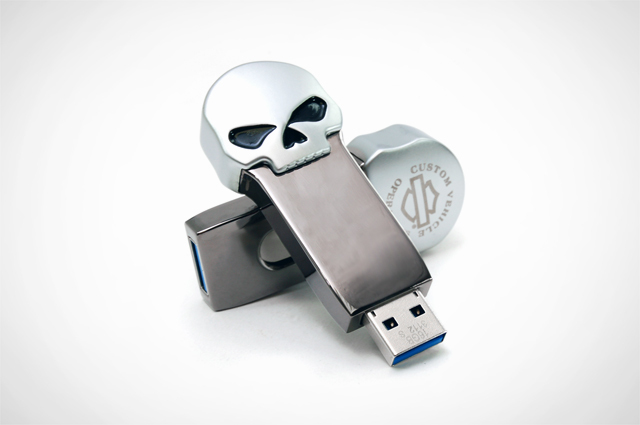 The design of the USB drive is really rocking. We are not responsible for the inventory of these custom flash drives. This was something direct with Harley themselves. We apologize with the confusion on our blog post and understand that now and have made adjustments.